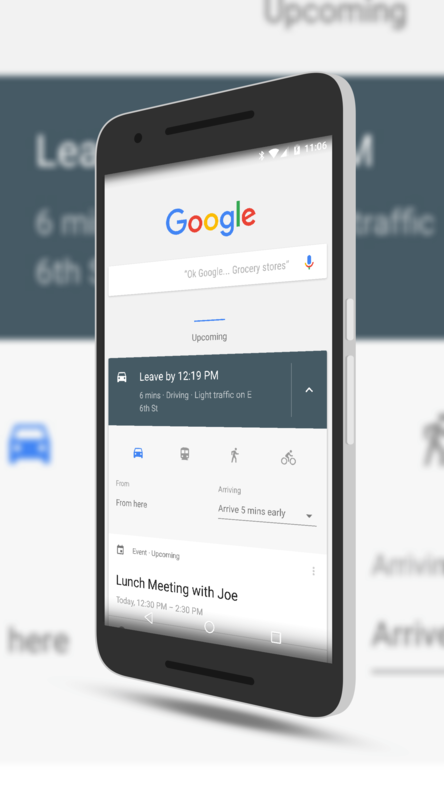 By-the-way, if you haven’t enabled travel information in Now, you can do that by going to Google Now and tapping the hamburger menu, tap Settings then tap Now Cards. Scroll down until you find the section “Commute and time to leave” and enable it. You’ll see next to the “Leave by…” block there is a small down arrow. Tap that and you will see a how you can change your mode of travel and your point of origin. There is also a section for “Arriving”. For this How To, that’s what we are interested in tweaking. Pull down the menu and you will see a slider which will allow you to adjust your arrival time. You can adjust it to arrive on time (which is the default setting) all the way up to 90 minutes prior to the scheduled start of the appointment. Once you use the slider to adjust your arrival time, Google Now will automagically recalculate the time you need to depart to arrive at that new time. It’s quick and simple but it is a bit hidden. For other How To’s on Android, Chrome OS and Windows Phone, be sure to check out the How To section here on the site. Does this only work on the more recent versions of Android? It could be Greg but I’m not 100% sure. I don’t have a Lollipop device to test on any longer so I can’t say for sure. Sorry I can’t be more help mate.